As many businesses rush to Cloud Services, many others will find success with new technologies implemented right in their office, according to technology author and small business consultant Karl W. Palachuk. Palachuk will present his strategies and options at the Small Biz Thoughts seminar “Life After SBS: Making Order Out of Chaos,” to be held October 11th in Las Vegas, NV. We suddenly have hundreds of options. Some are designed for small business and some are not. This is a critical time for businesses to rely on their technology consultants to help them make the right decisions. 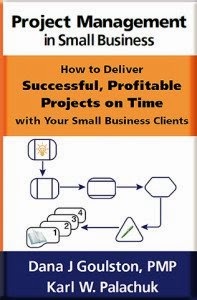 The seminar is presented by Small Biz Thoughts and includes presentations by Manuel Palachuk from Conceptual Age Consulting, Palachuk’s brother and co-author. The brothers are authors of The Network Migration Workbook, now in its second edition. Their all-day presentation will address technical options for small businesses after Microsoft discontinues the Small Business Server product line next year. Palachuk notes that the advancement of technologies sometimes comes in spurts, and that’s what we’re experiencing now. Microsoft has announced the end of their Small Business Server line, which defined small business technology for the last ten years. At the same time, they are releasing new server systems, a radically new Windows platform, new Office products, and a completely new cloud service. At the same time, various competing operating systems are finally making headway in the battle against Windows. These include Apple’s OS X and flavors of Linux operating systems, plus a dizzying array of cloud-based options. In addition to these trends, there is a growing number of “virtualization” options from hundreds of companies. Virtualization is a key technology in moving services to The Cloud. The Palachuk brothers are well known for designing and promoting strategies to move from one computing system to another while maintaining “zero downtime” on all critical systems. In addition, Karl Palachuk has authored several other books that have changed the way small I.T. consultants run and managed their businesses. These include Managed Services in A Month, The Network Documentation Workbook, and Service Agreements for SMB Consultants. For more information on these titles, see http://www.smbbooks.com. 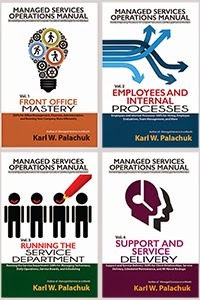 Karl Palachuk is the author of nine books, including Managed Services in a Month, Service Agreements for SMB Consultants, and Relax Focus Succeed. 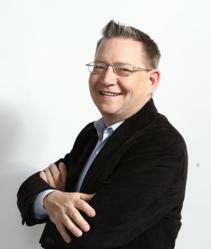 He focuses exclusively on small business IT consultants and the channel vendors who support them. He is a popular blogger who consults with IT consultants on how to improve their business practices. Palachuk has won a number of awards for small business consulting and community development. He has also been honored several times in the managed services community, being named to the “Managed Service Provider 250” and “Small and Medium Business 150” lists. For more information, see http://www.smallbizthoughts.com.